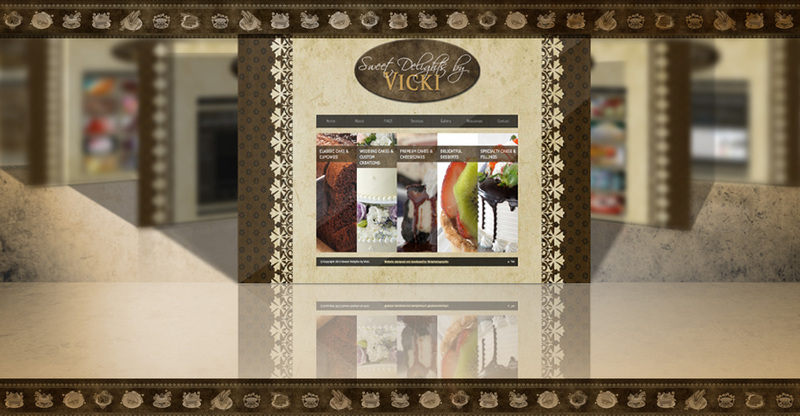 Wedding and Custom Cake Specialists, Sweet Delights and Cakes by Vicki provides made from scratch with the highest quality ingredients cakes and desserts. Everything is custom made, so, you get to pick your flavors and fillings, and have a cake designed that is a reflection of you. I also offer gluten free cakes for those who desire them. Corporate Branding for new, custom cake and dessert business, operating in Georgia. 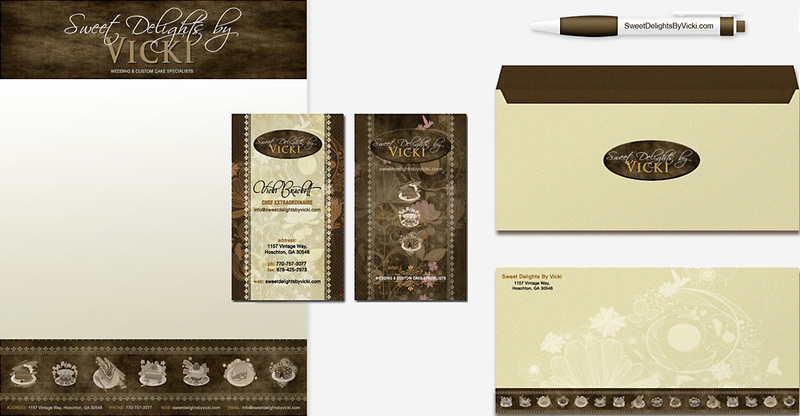 A logo design was created to reflect an elegant, classy, woman-owned and operated business. A Corporate Branding package comprising: Business Cards, Business Stationery (Letterheads, Envelopes, Invoice and business Folder was put together. 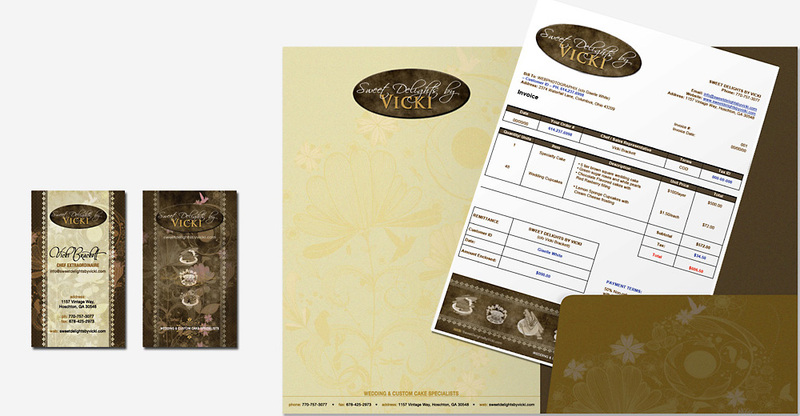 Marketing Material comprising promotional Folder and an interactive website was created. 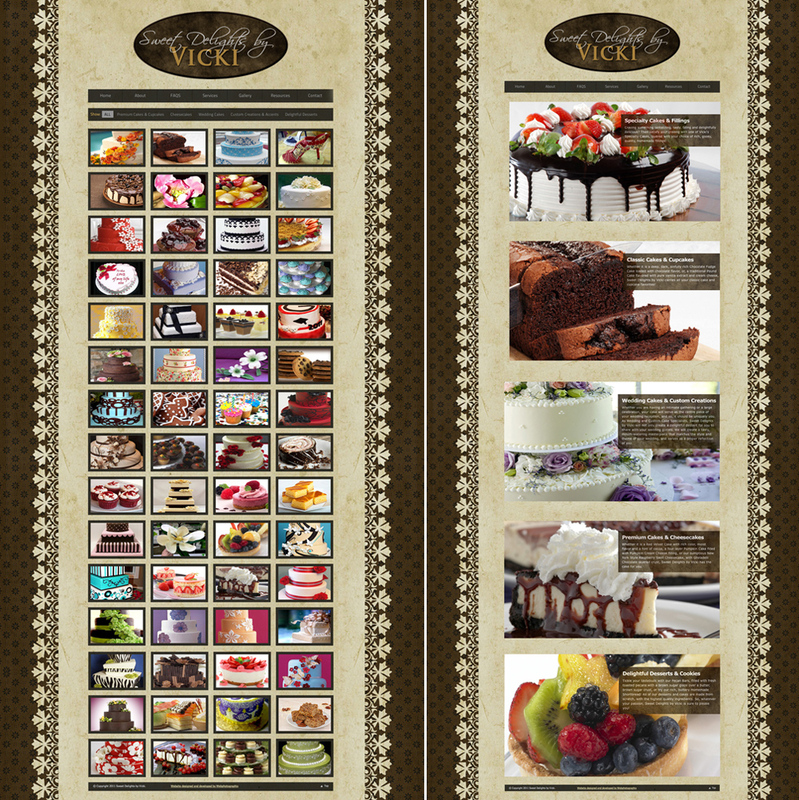 Sweet Delights By Vicki Business Cards, Invoice and promotional Folder.